Uh-Oh! 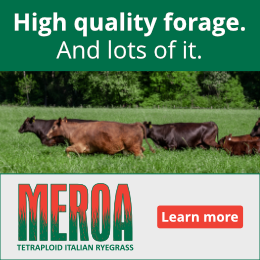 Grazing your pastures too short this fall could mean more weeds next spring! Results of a study by University of Wisconsin-Madison researchers show that grazing shorter helps weed seeds get the light and resources they need to germinate well in the spring. The study focused on burdock, but the results could be helpful for controlling other weed species that germinate in early spring. 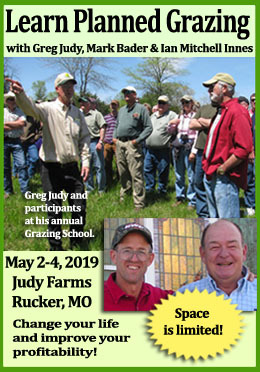 Agroecology Researcher Mark Renz and Marie Schmidt hypothesized that fewer burdocks would be established where more residual grass blocked sunlight from reaching the ground in March through early April when burdocks and other weeds begin growing. To test their idea, they clipped pasture plots to mimic grazing to five different heights: two inches, four inches, six inches, eight inches and unclipped. This November clipping was timed so it was as similar as possible to managed grazing pastures nearby. Since burdock needs light to germinate, Renz and Schmidt went back to their plots in April to measure the amount of light being intercepted by foliage. As you’d guess, the shorter the foliage, the more light made it to the ground. The plots grazed to two and four inches at the Arlington farm intercepted 41% less light than the six and eight inch plots. At the Franbrook Farm the four inch plots intercepted 34% less light than the six and eight inch, and unclipped plots. Though the differences in how much light was being intercepted diminished as the grass grew into May, the damage was already done. There was more burdock in the plots that were clipped shorter. At the Arlington Farm, researchers found that when only 30 percent of the light was intercepted, as it was in the two and four inch clipped plots, they could predict .46 burdock plants per square foot, or 20,000 per acre. With residual of 6 to 8 inches, 75 percent of the light was intercepted for .17 burdock per square foot or only about 7400 per acre. It’s important to note that the researchers found differences in their plots between the two farms. Franbrook started with lower weed densities than the Arlington Farm, and also had a greater diversity of pasture plants. Overall there were fewer burdock at Franbrook, even in plots clipped to two and four inches. Renz and Schmidt’s study shows that retaining a six to eight inch residual height through the fall and into the start of the next grazing season can reduce burdock establishment by an average of 82 percent. They expect that other biennial pasture weeds such as bull thistle and common mullein may react similarly. They also pointed out that your results may vary because animals don’t graze each plant to the exact same height, and some may even graze burdock. Can’t Beat It? Eat It! Burdock is actually a quite palatable weed, high in nutritional value for both livestock and humans. While it’s fallen out of favor in European cuisine, the taproot is still harvested and eaten as a vegetable in Japan. Cut the stalks before they flower, peel them and boil them in water and you have a vegetable that tastes like an artichoke (to which burdock is related). Let us know how your grazing goes, both by livestock and in your own kitchen! Our cows really like burdock and I’m happy to see some in the pastures. Cocklebur on the other hand just seems to get out of hand. Poor summer grazing management can have a similar effect on burdock populations. I have seen burdock establish throughout the summer after suitable sites are created. The seeds seem to be able to persist in the soil for many years. I scraped away some sawdust piles that likely have been in place for more than a decade, and immediately found a carpet of burdocks established, even as late as September. Of course, the early-established plants are much larger and are the ones you would harvest for their edible roots. Sheep seem to prefer second-year plants to first-year plants. I would like to see an article on controlling “Broomsage”. I don’t like spraying because of the soil life and I don’t have a row crop farm option. All this study shows is what conditions are favorable for burdock to grow. It did not show that increase in burdock reduced forage growth or loss in cattle gains. Weeds or forbs are utilized by livestock, with most weeds having higher protein content than grass. 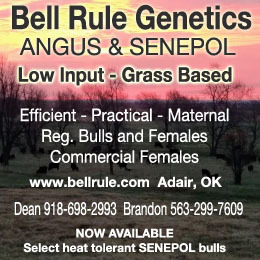 If livestock owners think that cattle only eat grass need to spend time watching them graze or do something else. Cattle eat weeds and weeds do not compete with grass. This is just like people wanting to spray weeds, it does not pay. You get no increase in gains from herbicide use, all you are doing is throwing money away. People need to quit worrying about weeds and how a pasture looks and spend more time learning how to ID plants and their value as forage. Thank you SO MUCH for your comment, John! At first I thought I might have written it myself since that’s exactly what I’ve been saying since 2004 when I first figured out how to teach cows to eat weeds. But over the years, saying it over and over again didn’t seem to make a dent. So in this case I figured, well, at least I can encourage people to manage their pastures in advance of the weed “problem” they might create. Anyway, your comment made my day and for that I thank you!